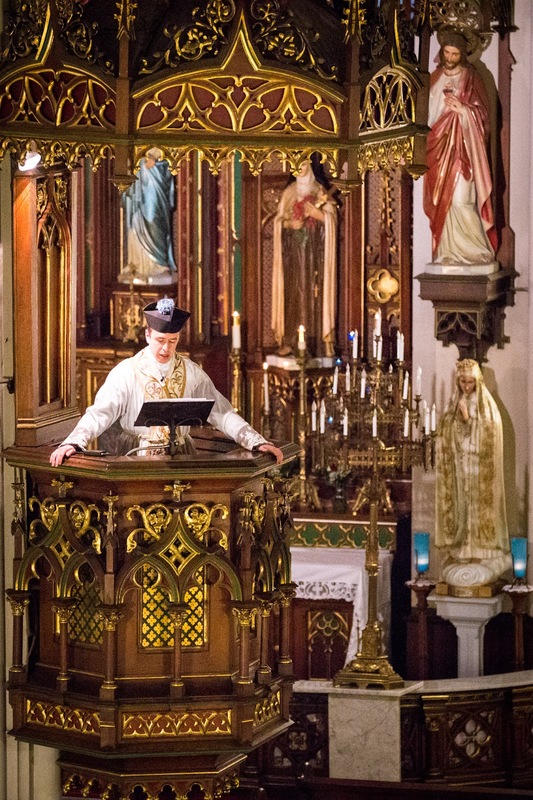 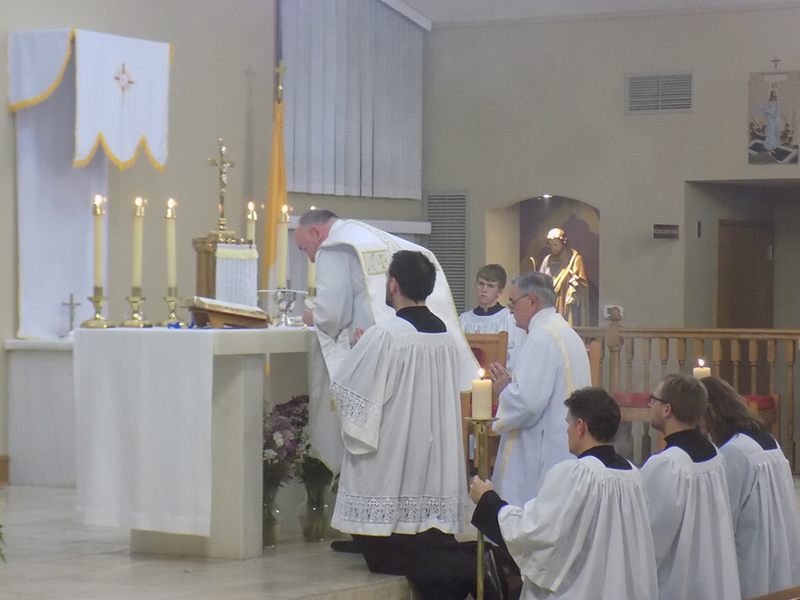 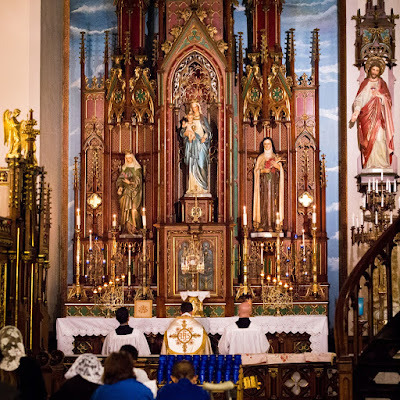 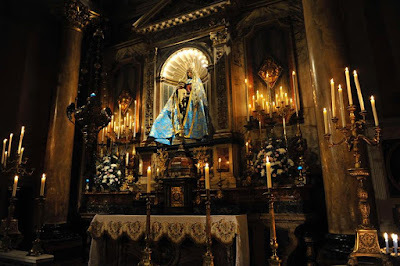 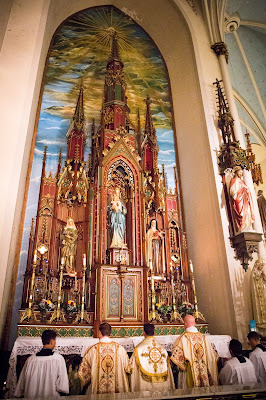 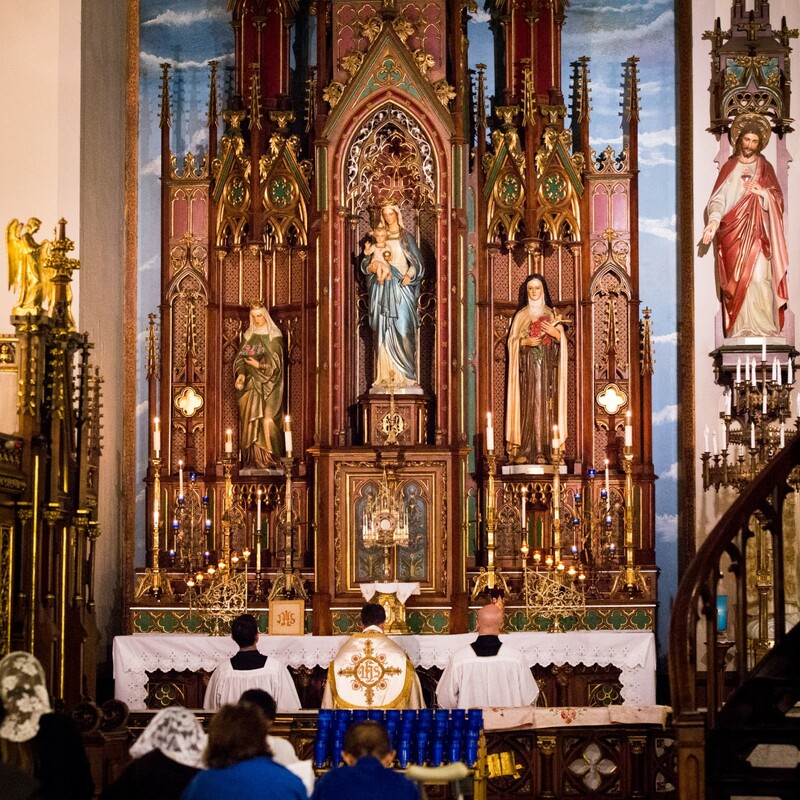 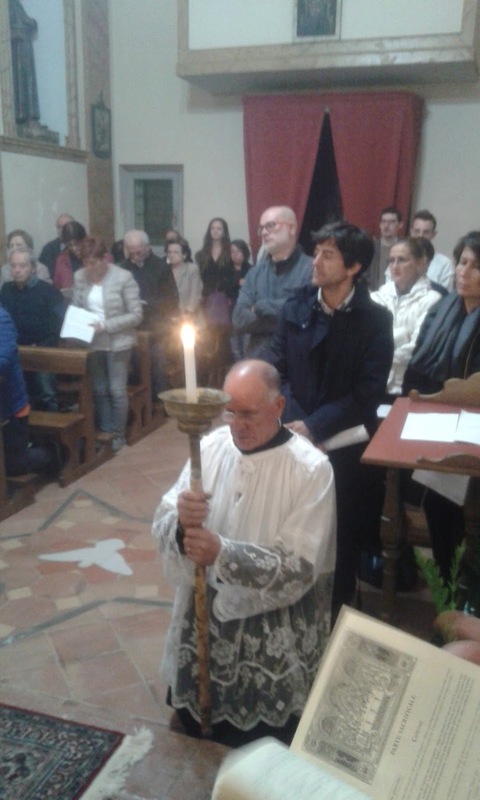 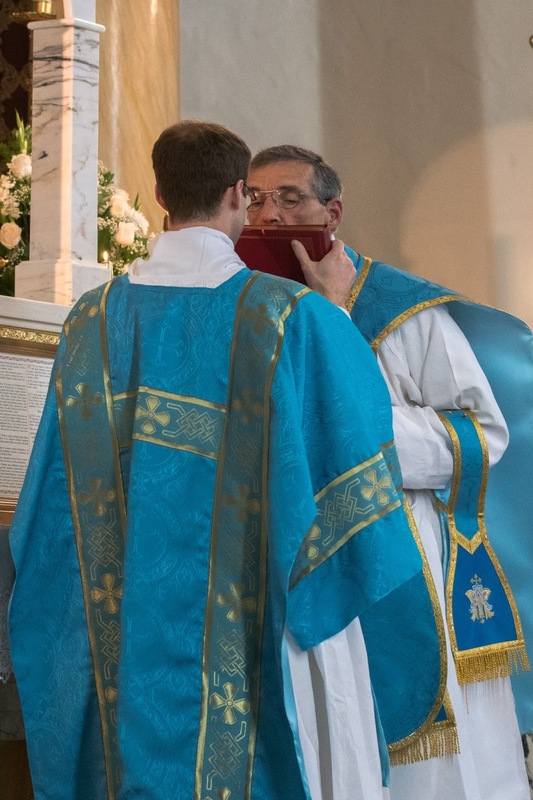 As always, we are very grateful to everyone who sent in their photographs of liturgies celebrated on the Immaculate Conception, a very large number indeed this year. 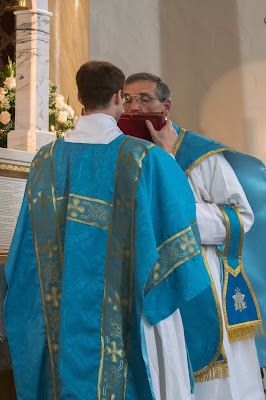 For obvious reasons, we can only post a selection, but a few of these sets are posted on Facebook and elsewhere, and links are given where you can see some more of the photos. 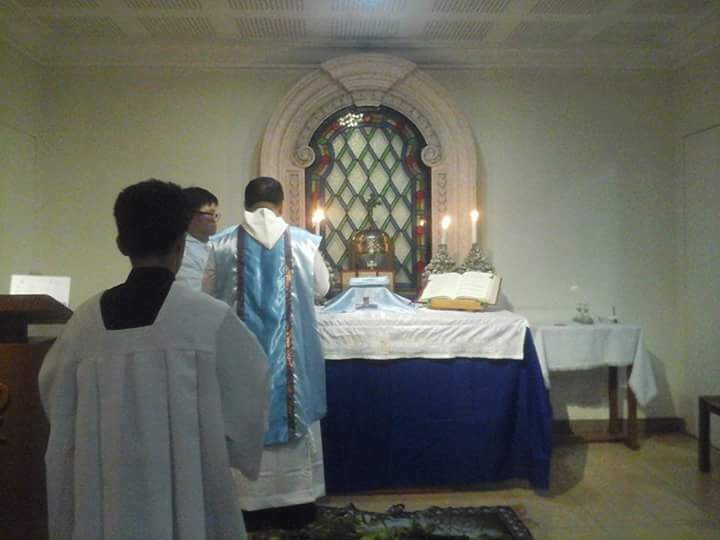 These are posted in the order received; we have a few Pontifical Masses, and some blue vestments from both the Philippine Islands and California. 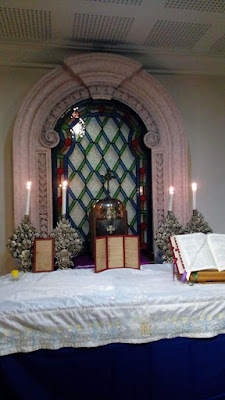 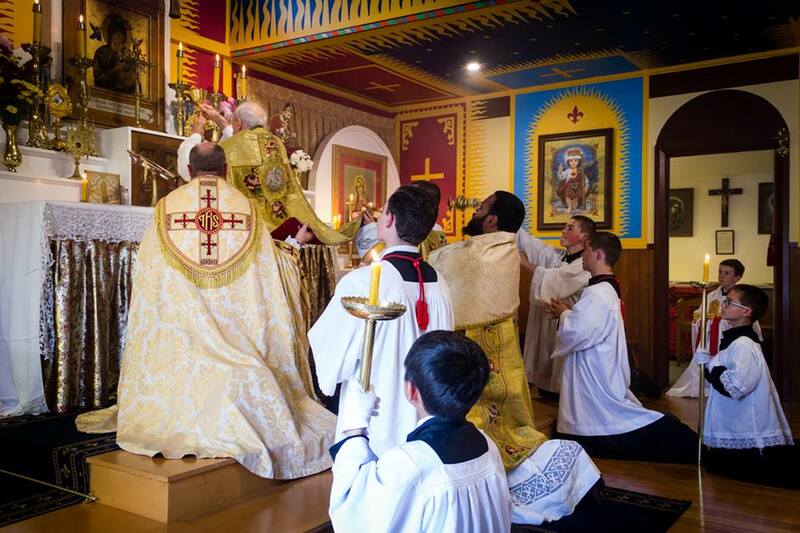 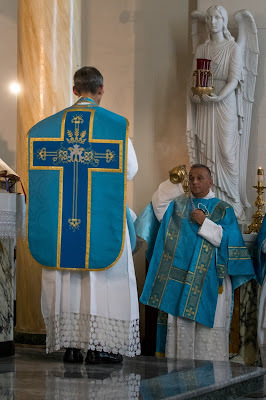 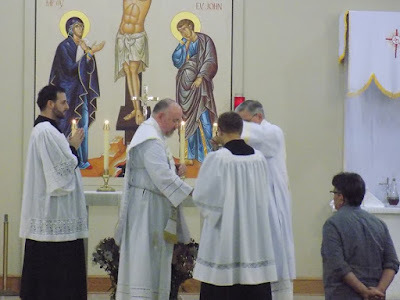 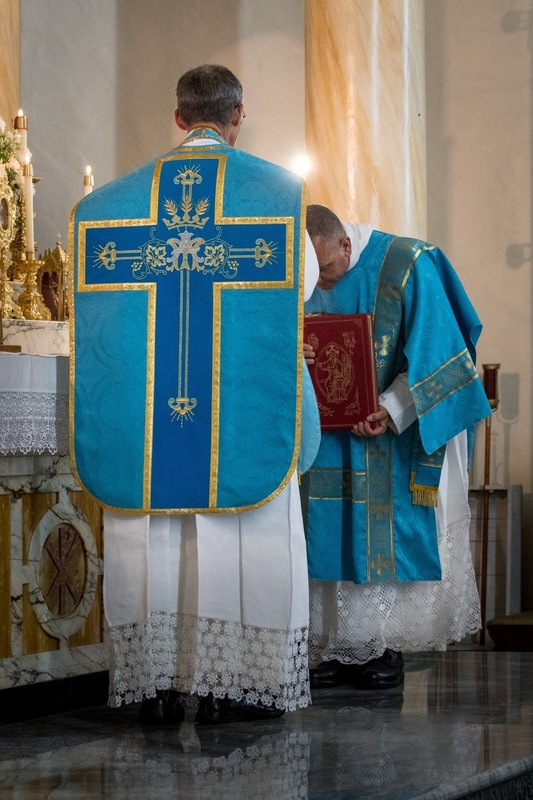 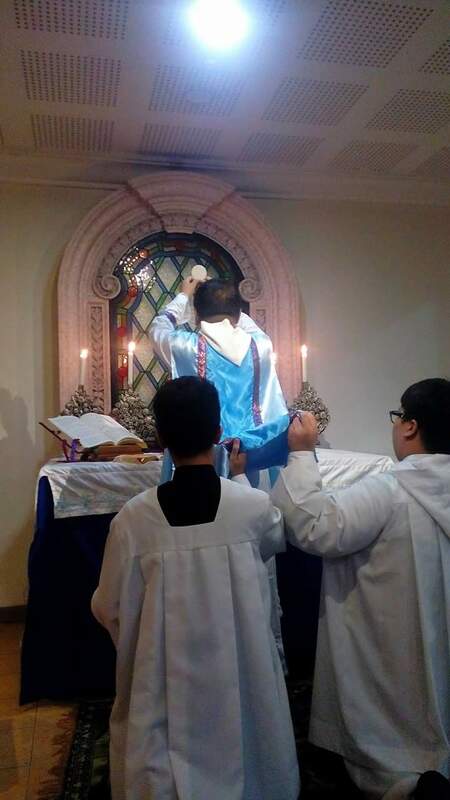 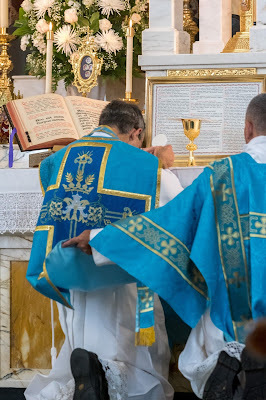 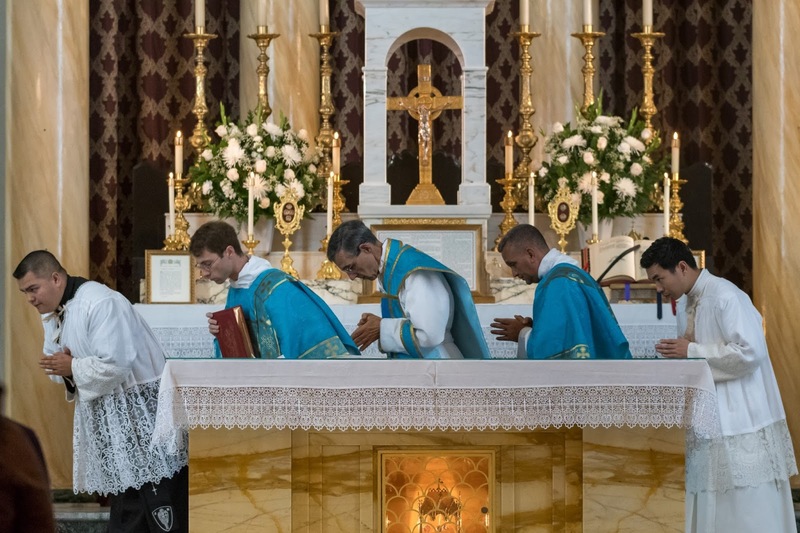 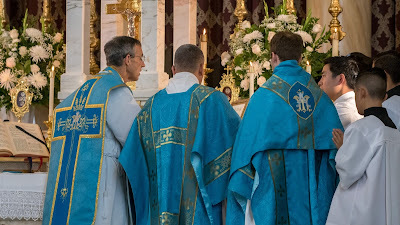 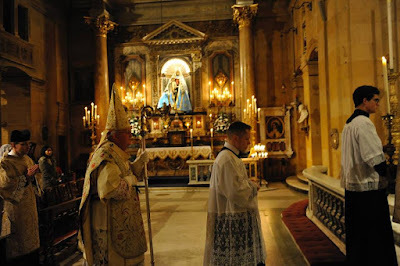 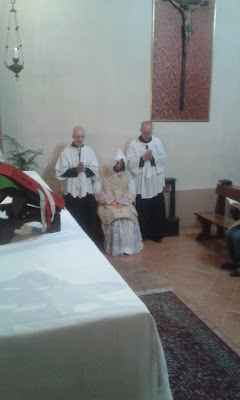 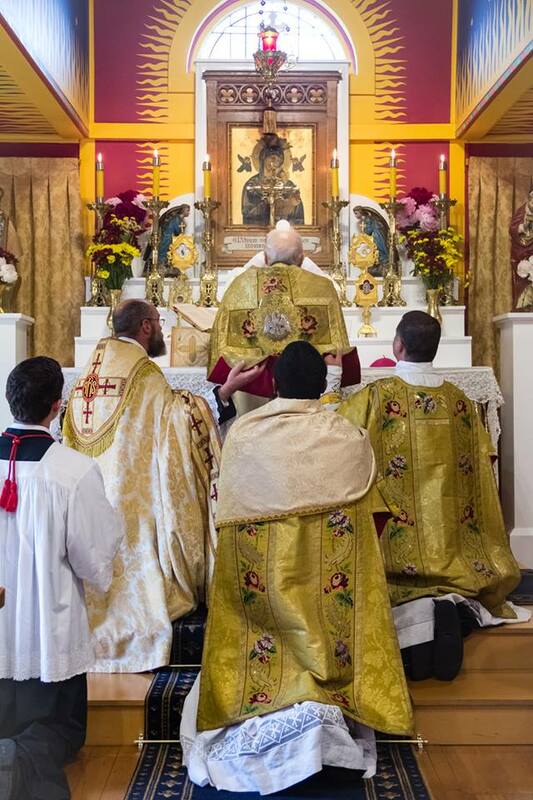 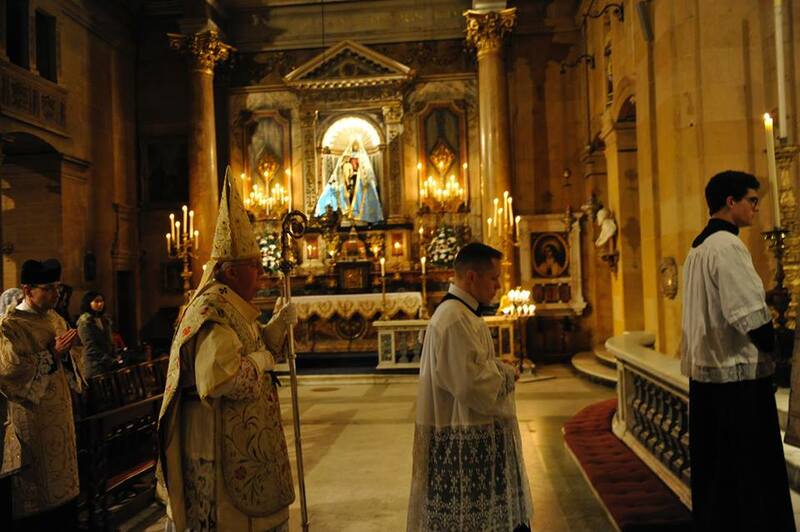 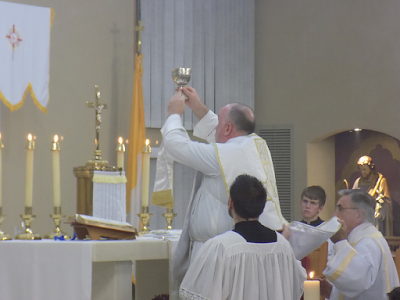 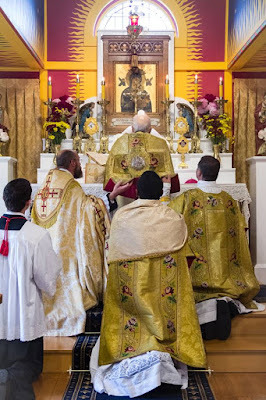 OF ad orientem, with the ordinary of the Mass in Latin; courtesy of Una Voce Tallahassee, from their Facebook page. 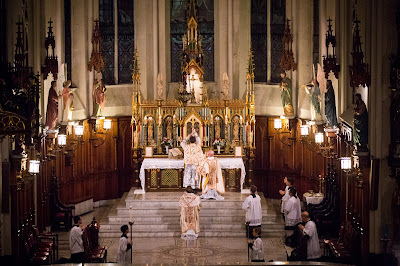 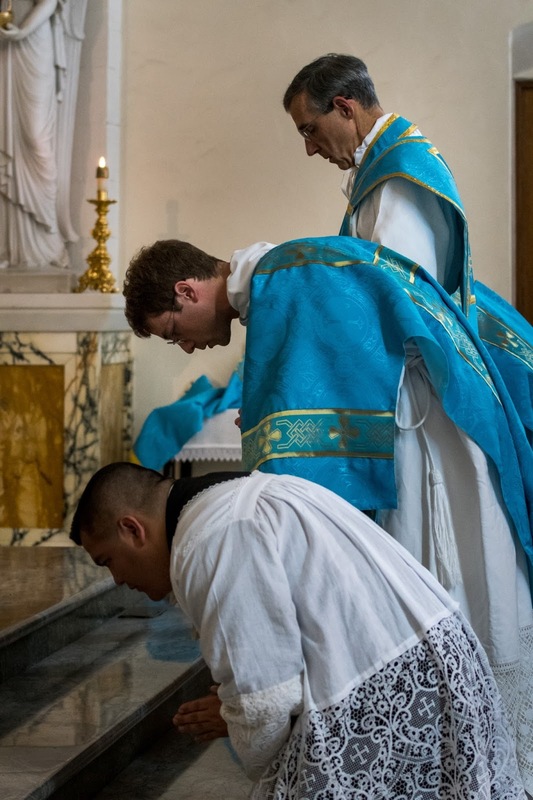 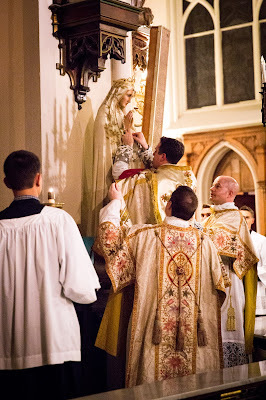 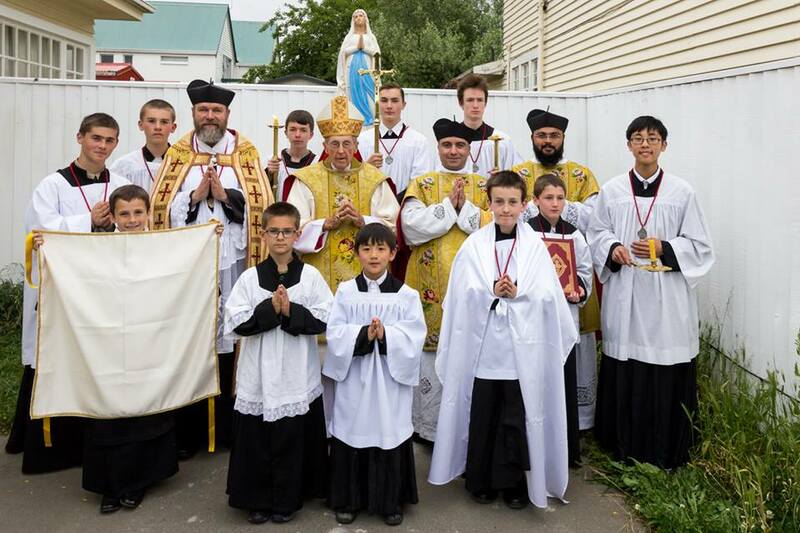 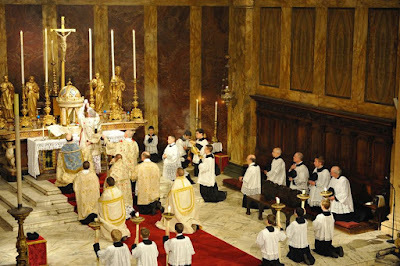 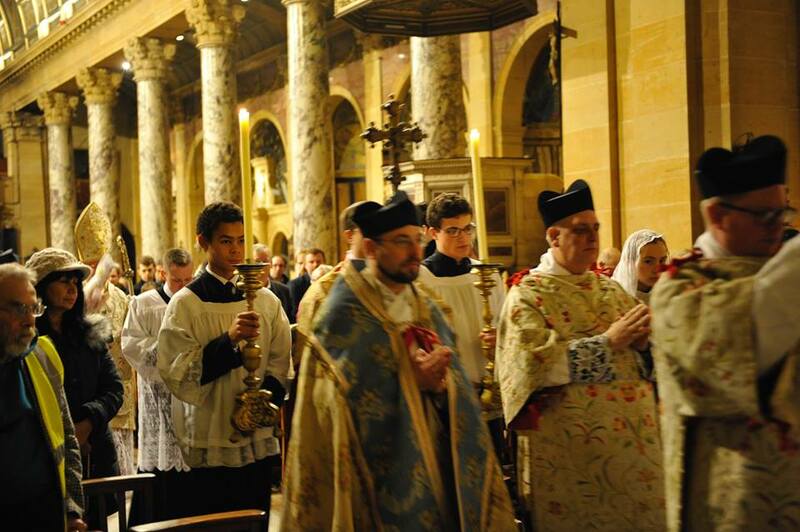 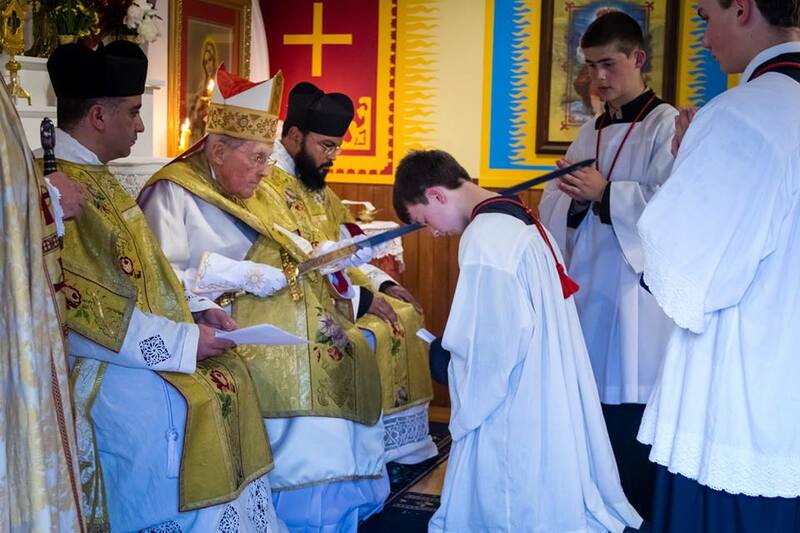 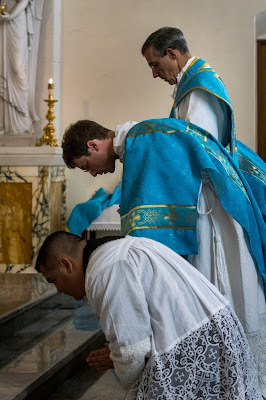 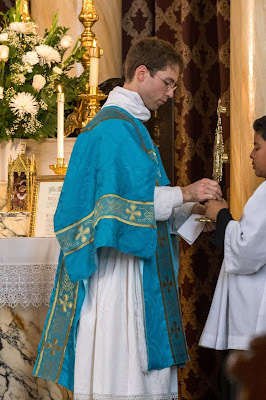 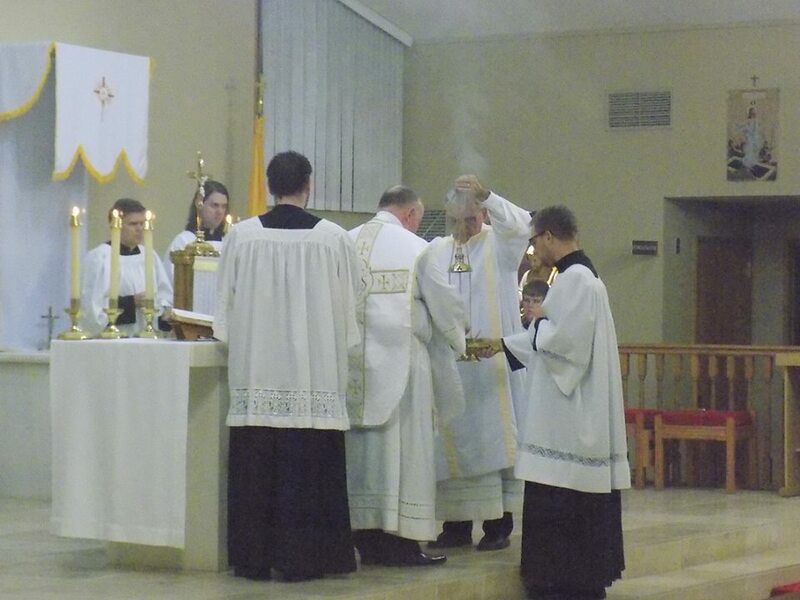 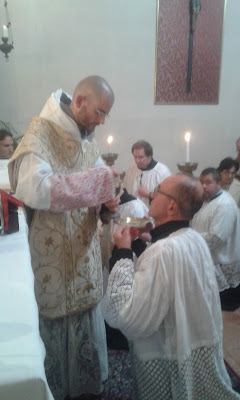 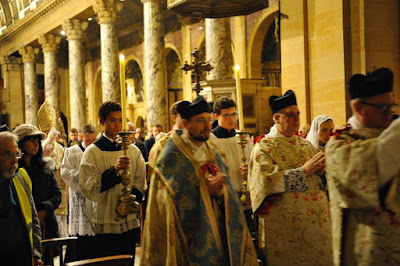 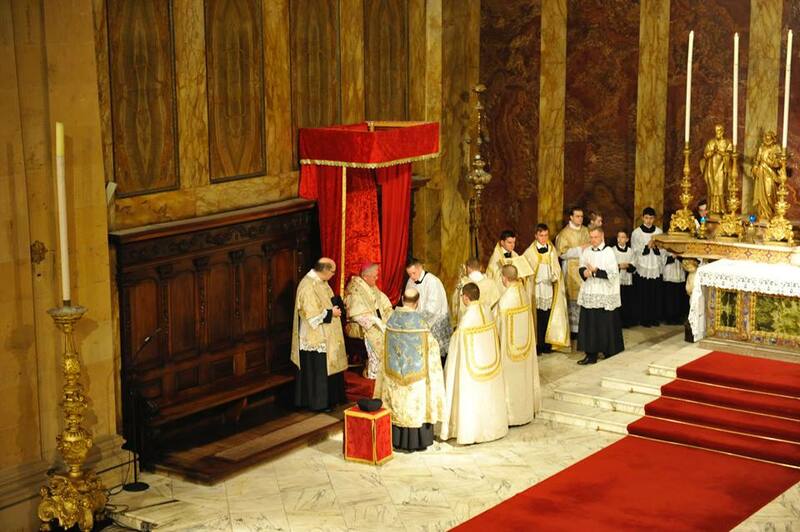 Recently featured here on NLM as a new apostolate of the Institute of Christ the King.